We've launched a new website and a global network of offices. With the new website comes a new home for the blog. You can now find all of our posts here. 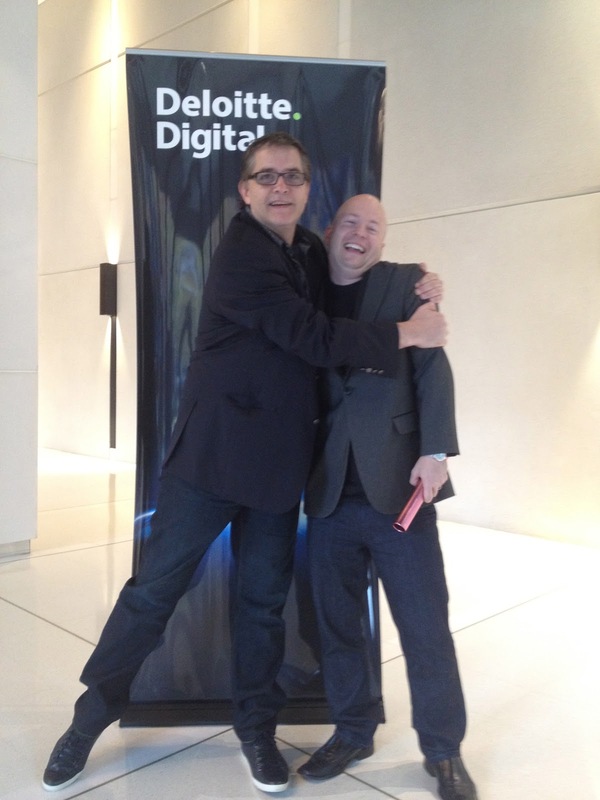 Yesterday was a momentous day for Deloitte Digital. We announced that Deloitte Digital is going global with practices established in the US and UK. For me the journey started in 2003 when Deloitte Australia purchased the Eclipse Group, one of the few sizeable web development companies that survived the dot com crash. It was definitely a struggle but over time the group became an integral part of Deloitte and a key pillar in driving innovation. Frank Farrall took up the reins and Eclipse became Deloitte Online and has continued to go from strength to strength and today is the fasting growing group in the firm. In 2008 I started Deloitte Digital, a business focused on delivering professional services online. We had the view that Professional Services firms hadn’t embraced Digital and were still delivering services face to face rather than online. We set out to pioneer the delivery of professional services online. Since that time we have launched a range of online services covering Education, Innovation, Compliance, Surveys and Benchmarking. 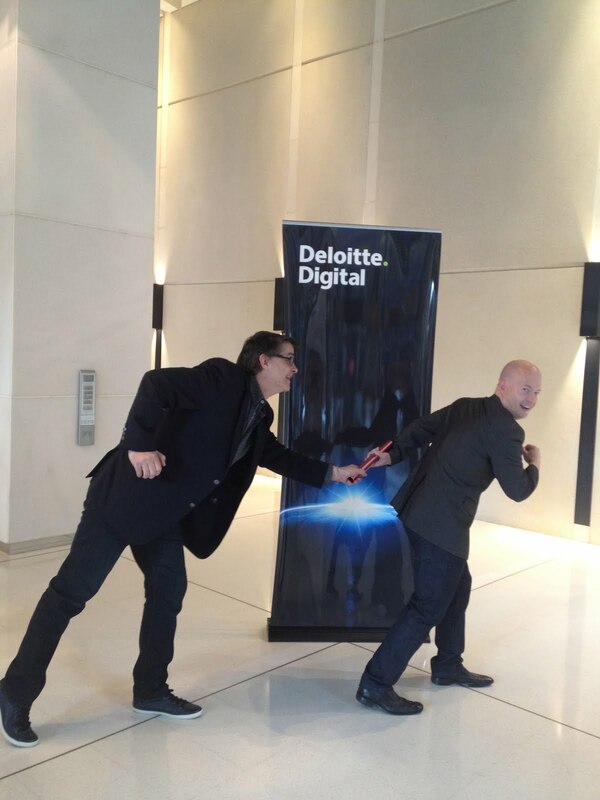 The Digital business has grown from a team of 15 to 45 and has been a major differentiator for Deloitte. In January a contingent of Aussies headed over to LA to meet the Ubermind team, who had recently joined our US practice, together with leaders from our Global Consulting practice . It was immediately apparent that Ubermind were kindred spirits and they had a portfolio of amazing work, particularly in the mobile arena. In LA we set out the plan for taking Digital to the world stage. When we returned we decided that the time had come to merge Online and Digital. The teams have always worked closely together and we shared the same floor and culture. Digital had moved beyond start up phase and was ready for some serious growth both locally and globally. Handing the baton to Frank was also very easy. Frank and I work very closely together and he has done an amazing job with the Online team. He is also much better at dealing with the operational stuff that inevitably comes when your team gets bigger and bigger. It was also time for me to reflect about what I wanted to do. Deloitte Australia was keen to embrace the work and model of the Centre for the Edge, run by two of the best tech thinkers in the world, John Hagel and John Seely Brown. Centre for the Edge was established as an applied research group with a purpose of helping organisations and executives understand and take advantage of the rapidly changing business and social environment driven by the Digital Revolution. Areas of focus included cloud, mobile, social and data, which aligned perfectly with the word I had been spruiking, Clomosoda. Centre for the Edge lets me get back out to the Edge where I am most passionate and lets me legitimately play computer games, hang out at hacker weekends and coworking spaces. It meant saying goodbye (sort of), to my team but I also know that I am much better at exploring and establishing a foundation rather than operating a business with a lot of people. I will be focussing on looking beyond the horizon and bringing ideas and opportunities to Deloitte and our clients. The word unleashed has been bandied about internally so watch out. I am heading over to the states for a couple of weeks to get ready for the launch of Centre for the Edge here, one chapter closes and another one opens. To the new Deloitte Digital congratulations to all, you have worked hard to get to where we are and it is going to be great working on the global stage. Where left brain meets right.